Around Christmas I was looking everywhere for 8 tip star cutters. 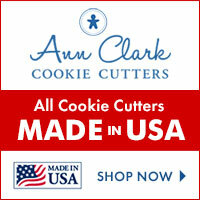 There are hundreds of companies making and selling cookie cutters and I could not find any. So I just lived without the 8 tip star cutter until a few weeks ago, when the owner of Cookie Cutter Kingdom asked in a cookie group if there was any shape we could not find... Of course the first thing that came to my mind was the 8 tip star. I told him about it and in a few days I got a nice set of 8 tip star cutters. And I tell you, I will not wait until next Christmas to use them! Actually, I did not want to wait at all! 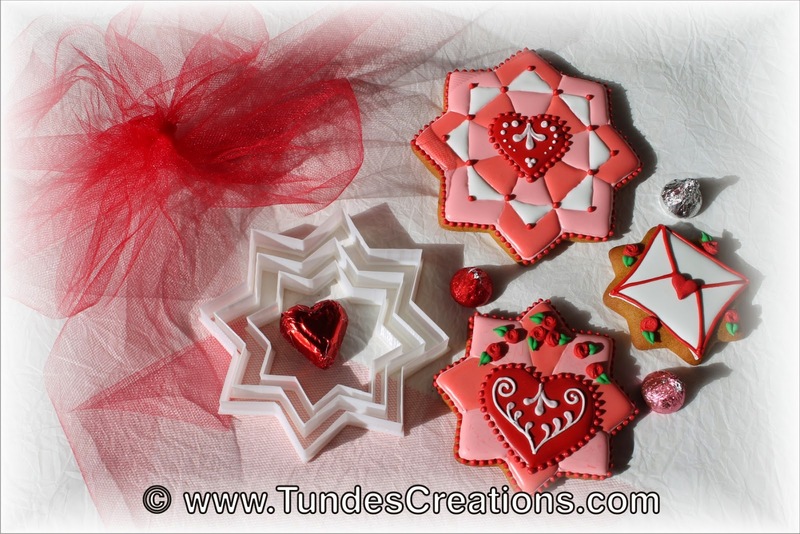 So I proudly present my star shaped Valentine's set and the first ever cookie cutter I designed! Oh, and you know me, it's not only one cutter, but a whole set. I need three different sizes to make a cute box. And I love to make these easy boxes. You can make this kind of box in any shape if you have a set of 3 different sizes. And Cookie Cutter Kingdom have most of their cutters in at least 3 different sizes. I can't wait to play with their plaque cutters! 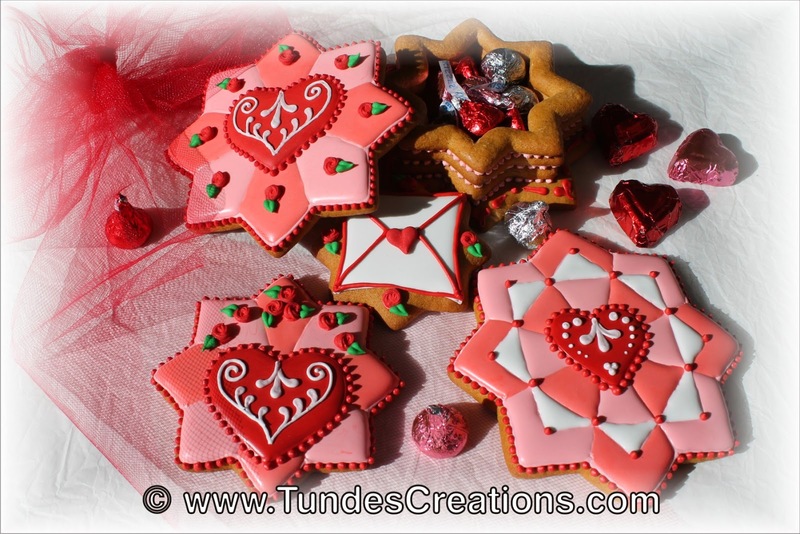 If you would like to make these cookies, look for the cutters at Cookie Cutter Kingdom. Once you have them, check my blog from time to time, as I am sure I will make plenty of designs with them! Also check out their other cutter I designed: the cross by Tunde. 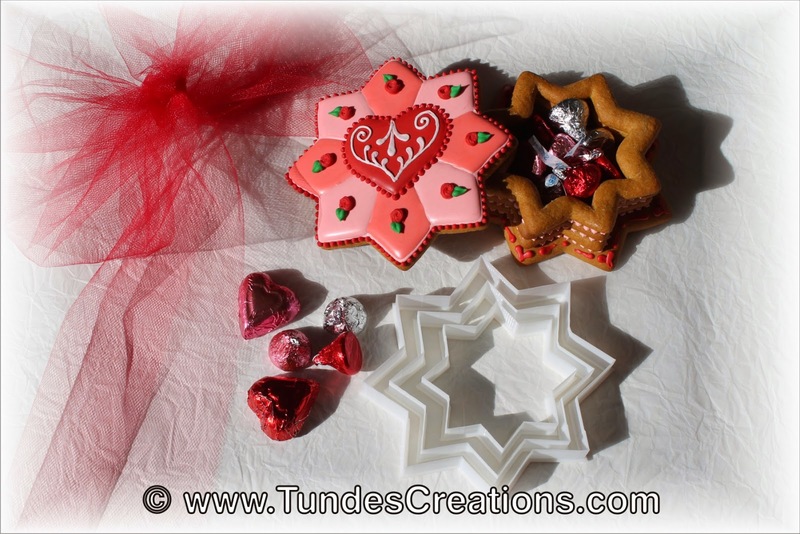 Use promo-code FRIENDSOFTUNDE to get 10% OFF your cutters.